Gently blow the back with a hair dryer for several minutes(by hot wind). Material----Polyester fiber,High quality,Not reflective,Non washable.Pattern in our backdrop is realistic. Size----5x7ft(1.5mx2.1m);no pole pocket, light weight and it can be folded and easy to storage and carry. Produce----Using a series of high-tech digital production equipment carefully made digital pictures inkjet pictures. Apply----Work for outdoor shooting, wedding, event party, birthday party, festivals, video, TV live, YouTube, ;Newborn ,kids and bussiness product photography. Hanging---Use clamps to hang it on a backdrop stand. These do not have a pole pocket.Or you can stick it on the wall. Please feel free to send us e-mail if you have any questions,we will solve it ASAP! ◆Material---Polyester fiber,Thin,Lightweight and Durable.It can fold, easy to carry. 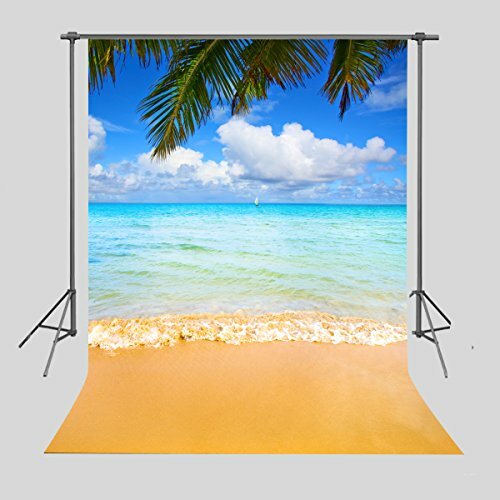 ◆Size---5x7FT(1.5mx2.1m).No pole pocket,No support Stand,our backdrops are glare free. ◆Quality---High resolution,strong artistic effect,excellent color treatment and realistic detail. ◆Occasion---It can be used for outdoor shooting, wedding, event party, birthday party, festivals, video, TV live, YouTube, ;Newborn ,kids and some other occasions. ◆Package---According to rule of our local post office, length of item cannot be more than 1.2m. So items will be sent folded. If you have any questions about this product by FUERMOR, contact us by completing and submitting the form below. If you are looking for a specif part number, please include it with your message.